Professional skin consultations are always complimentary. 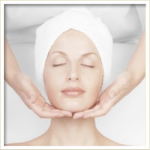 Our signature facial incorporates the elements found within the environment. The natural radiance within your skin will surface leaving you with a fresh, glowing look. Great for any skin type, even the most sensitive. This breakthrough treatment is created for skin that is showing signs of age — sagging, fine lines and dullness. A thorough cleansing is followed by our exclusive layered exfoliation process, energizing massage and ultra-tightening mask. It’s all designed to restore firmness to sagging skin as it lifts, tightens and smoothes. You’ll instantly experience firmer, more resilient skin.. This 15 minute treatment helps eliminate under-eye puffiness, softens fine lines and wrinkles, diminishes fatigue and circles under the eye and improves circulation. Offered exclusively by our Level 3 Esthetician, Tracy Blocker, this new service instantly removes blackheads and reduces fines lines. Delivering 30 thousand Hz per second of ultrasonic waves this facial will help unclog pores and exfoliate the skin to remove dead cells. Choose from our organic all things pure, stress solution, microdermabrasion, oxygenation, vitamineral detox or light plex. Designed to balance the needs of oily and blemish prone skin, focusing on clarity. Experience specialized cleansing, aromatherapy steaming, advanced exfoliation, extractions, pressure point massage and customized mask. Great for teens. A process that removes up to seven layers of skin and helps eliminate fine lines, hyper-pigmentation, acne scars and age spots. 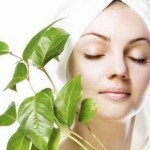 Skin is left rejuvenated with a younger more vibrant appearance. 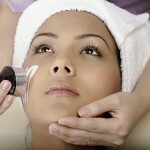 Treatments use a minimally abrasive instrument to gently sand your skin, removing the thicker, uneven outer layer. This type of skin rejuvenation is used to treat light scarring, discoloration, sun damage, and stretch marks. Dealing with headaches, sinus pressure or just feeling under the weather? 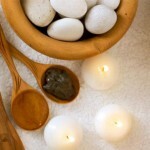 Let us help you unwind with our customized facial as we use a blend of Doterra essential oils and massage pressure points to relieve tension and stress.